Almost completely intact, it is one of the finest and most unaltered examples of a 13th century English manor house. 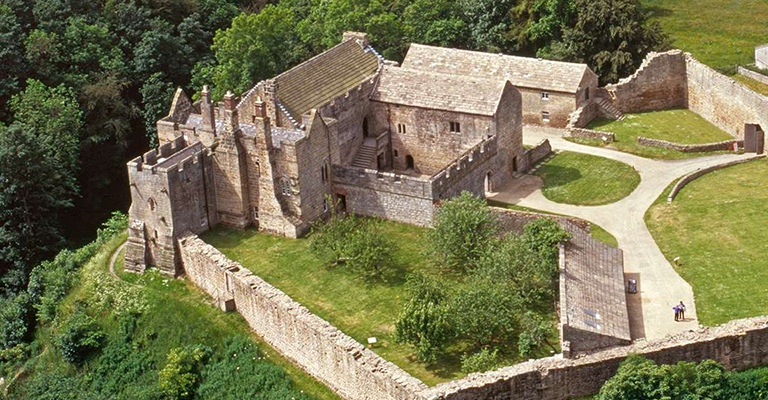 Set in a beautiful and secluded Northumberland woodland, it was originally built as an undefended residence, but was almost immediately fortified on the outbreak of Anglo-Scottish warfare. Nevertheless it was pillaged and burnt by the Scots in 1315, seized by English rebels two years later, and again occupied by Scots in 1346. The castle later became a farmhouse in the 17th century and was lived in up until 1966. Bring along a picnic and spend the day exploring this hidden gem or why not visit Hadrian’s Wall too, a mere stone’s throw away. The well fortified manor house. The beautifully secluded woodland surroundings. The original Medieval carved fireplaces, one of which dates back to around the 13th century. The walled orchard, fabulous for picnics in the summer.